AFTER months of waiting, Kia Motors has finally settled on a moniker for its PBA team. And thankfully, it's not Kamao. 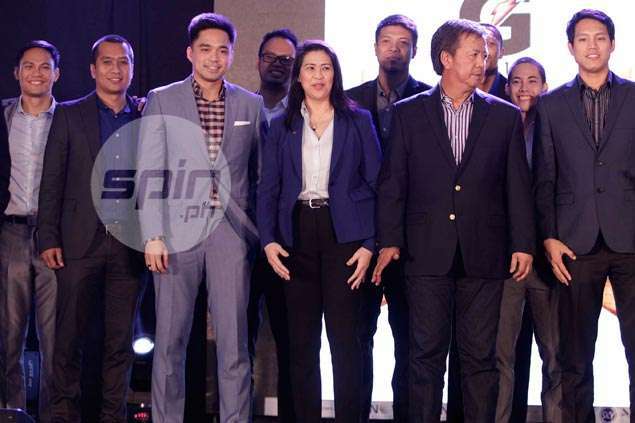 Columbian Autocar Corporation president Ginia Domingo bared that they have already chosen Sorento as their team moniker, carrying the name of its top-selling sports utility vehicle in the US and the Philippines. Domingo said Sorento signifies speed, prestige, and pride - qualities which Kia hopes its PBA expansion ballclub will embody in the pro league. "We want to use a moniker that well represents our product and we chose Sorento kasi its one of our best cars and one of the top selling in our roster," said Domingo. "We have 15 winning entries for this one and we will announce it soon," she added of the contest they held to encourage the fans to become a part of the naming of the Kia Motors team. True to its promise, the Columbian Autocar Corporation-owned franchise made its head coach Manny Pacquiao as the 11th overall pick in the rookie draft on Sunday. Crowds erupted in mixed cheers and laughter as soon as Commissioner Chito Salud announced that Pacquiao has been made the first top pick in the franchise's history. Aside from the eight division boxing champion who will be Kia's playing coach, the team also picked his cousin Rene Pacquiao at 25th overall. Also joining the Kia team are Kyle Pascual (24th overall), Kenneth Ighalo, Paolo Taha, Jeremy Bartolo, Anthony Gavieres, Richard Cole, Giorgio Umali, Jonathan Banal, Michael Acuna, Paolo Romero and Francis Bercede. The Pepito Alvarez-owned franchise has the most number of picks at 13, which it will add to its pool of 15 players from the last dispersal draft and the free agent market. Team manager Eric Pineda is optimistic Kia can come up with a strong roster which it will finalize in the next few days.